How pervasive is the threat of ransomware? Learn how ransomware is evolving - and which industries are the most susceptible to attacks. Ransomware is a legitimate threat, with estimates from the U.S. Justice Department showing that over 4,000 of these attacks have occurred every day since the beginning of the 2016. As ransomware infections evolve, attacks have become more common across all industries. 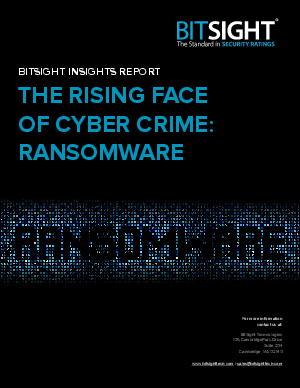 In this BitSight Insights Report, researchers analyzed the growing trend of ransomware across nearly 20,000 companies to identify common strains of this malware, and identify which industries are targeted most.